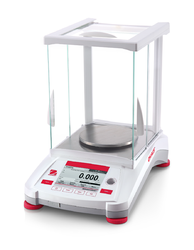 Analytical & Precision Balance from Ohaus. Built for Sophisticated, Professional Weighing. When laboratory work and research requires accuracy to the hundred-thousandth, there is simply no room for error. 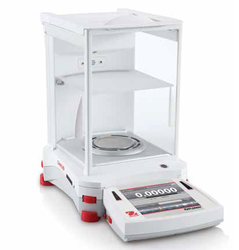 The Explorer series of semi-micro balances has been designed with the technology to ensure that your very specific weighing results are accurate. 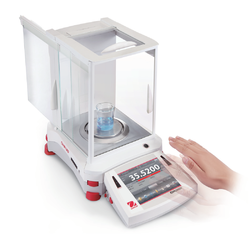 Sophisticated laboratories requiring accuracy and looking for innovative technology to obtain measurement results can find both in Explorer semi-micro balances. The Most Complete Balance in its Class, Striking the ideal balance between inventive features and functional, uncomplicated weighing capabilities, the OHAUS Adventurer incorporates all of the applications necessary for routine weighing and measurement activities. With a color touchscreen, GLP/GMP compliance capabilities, two USB ports, ingenious draft shield, and much more, Adventurer is the most complete balance in its class.